With account-based marketing, Localytics was able to 2x the amount of sales pipeline generated for every marketing dollar spent. Localytics is a mobile engagement platform that helps brands understand their users and gather insights needed to provide an optimal mobile app experience. Localytics’ ideal customers are enterprise brands with sophisticated marketers that understand the power and potential of mobile. Before implementing account-based marketing (ABM), the Localytics marketing team was focused heavily on generating SMB leads to fill their pipeline, but VP of demand generation, Lisa Skinner believed they could generate pipeline more efficiently. She realized that in order to see success selling to larger brands, they needed to reevaluate their marketing strategy. 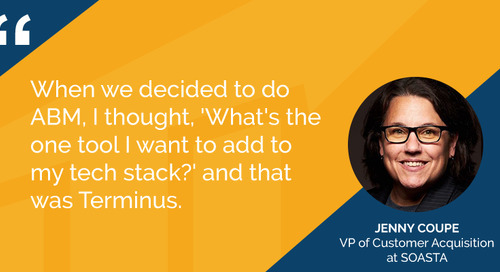 In order to move the needle within larger enterprise accounts, Lisa needed a way to reach and engage more decision-makers in a cost-effective way, which is why she added Terminus to their ABM stack. In order to surround their target accounts with all that love, Localytics takes a multichannel approach. They run Terminus campaigns to provide “air cover” alongside email, direct mail, outreach from BDRs, LinkedIn Sponsored Updates, and content syndication. 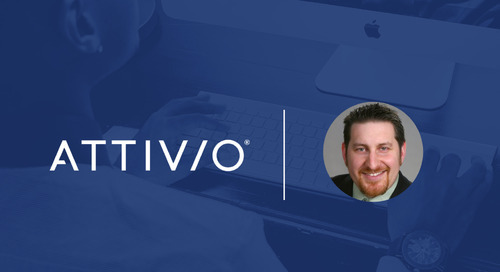 Terminus adds an additional layer of coverage by serving targeted digital ads to relevant stakeholders in specific departments at target accounts without requiring that contact data to be in their CRM. 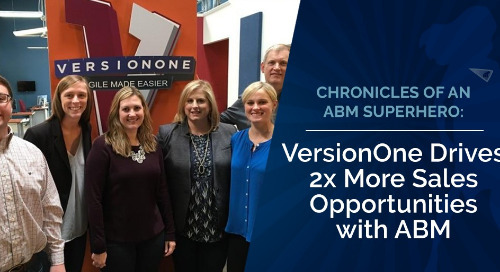 Here are two examples of creative and effective multichannel demand generation ABM campaigns Localytics is currently running. For their pre-targeting campaign, Localytics hand-picked 25 target accounts. Each account goes into a Terminus campaign and starts seeing ads two weeks prior to receiving a personalized direct mail piece.  These accounts will also receive marketing emails, communication from a Localytics Business Development Rep, along with LinkedIn Sponsored Updates and content syndication. To measure the effectiveness of this campaign, Localytics is tracking how many meetings are scheduled for their sales team as well as overall engagement within their target accounts. Since Localytics is mostly targeting enterprise accounts, their team needed more personal outreach to break through the noise. They decided to test the effectiveness of hyper-targeted campaigns in Terminus by focusing on a smaller list of 16 key retail accounts that fit their ICP. Half of those accounts received ads driving them to an ungated piece of content — The Retailer’s Mobile Marketing Playbook — specifically designed for retail companies. For the other half of the target accounts, Localytics created Terminus ads and content personalized for each account. 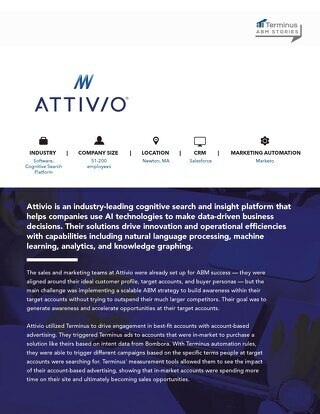 Not only did the ads include the company name, they took it a step further and created custom versions of their e-book for each company. They branded the front page of the e-book for the specific account and included personalized content based on research of each account’s successes and challenges with their current mobile strategy. As Localytics began taking an account-based approach, Lisa started to reevaluate some of their other digital marketing efforts. 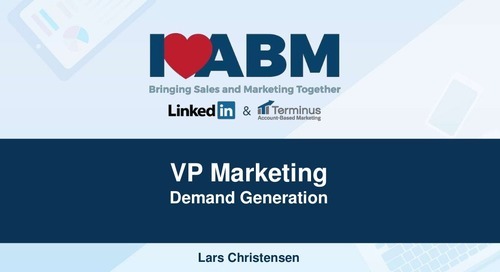 Many were focused on lead generation, which wasn’t in line with their ABM strategy. 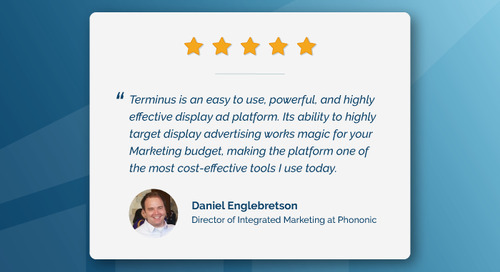 When she began to evaluate some of their other digital advertising tools, she decided Terminus would be one of their primary solutions. 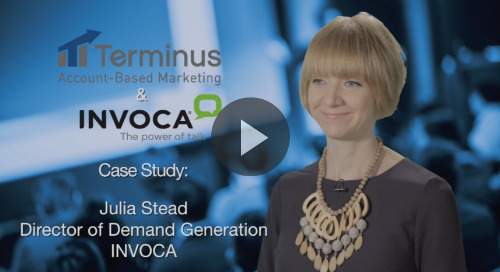 “Because we were so focused on the accounts, we’ve really scaled back some of the more traditional digital strategies and tactics.” For Lisa, using Terminus to build targeted digital advertising campaigns and tactics to reach stakeholders within their target accounts is more cost-effective than many of their other digital strategies. That’s because it allows them to target specific accounts and a specific department within those best-fit accounts. Aside from being more efficient and effective in their marketing spend, Localytics’ marketing team has also seen significant benefits from ABM when it comes to their alignment with their sales team. 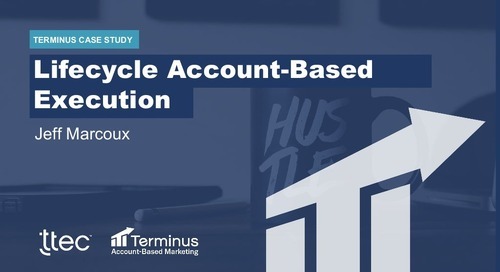 If you’d like to learn more about how Terminus can play a key role in your ABM program, schedule a meeting with a Terminus ABM specialist.